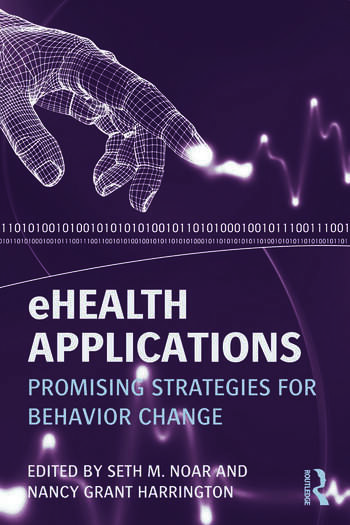 eHealth Applications: Promising Strategies for Behavior Change provides an overview of technological applications in contemporary health communication research, exploring the history and current uses of eHealth applications in disease prevention and management. This volume focuses on the use of these technology-based interventions for public health promotion and explores the rapid growth of an innovative interdisciplinary field. The chapters in this work discuss key eHealth applications by presenting research examining a variety of technology-based applications. Authors Seth M. Noar and Nancy Grant Harrington summarize the latest in eHealth research, including a range of computer, Internet, and mobile applications, and offer observations and reflections on this growing area, such as dissemination of programs and future directions for the study of interactive health communication and eHealth. Providing a timely and comprehensive review of current tools for health communication, eHealth Applications is a must-read for scholars, students, and researchers in health communication, public health, and health education. Dr. Seth M. Noar is an Associate Professor in the School of Journalism and Mass Communication and a Member of the Lineberger Comprehensive Cancer Center at the University of North Carolina at Chapel Hill. His research addresses health behavior theories and message design, mass media campaigns, eHealth applications, and methodological topics, including meta-analysis and evaluation. Dr. Nancy Grant Harrington is a Professor in the Department of Communication and Associate Dean for Research in the College of Communications and Information Studies at the University of Kentucky. Her research focuses on persuasive message design in a health behavior change context, particularly as it relates to risk behavior prevention/health promotion and interactive health communication using computer technology.